BitTorrent and TRON have an ambitious plan to improve the BitTorrent protocol. Not only will users be financially rewarded for seeding, but they can also pay for faster access. While this may sound good to some, we wonder how this rhymes with BitTorrent's fight for Net Neutrality and its advocacy against paid prioritization. 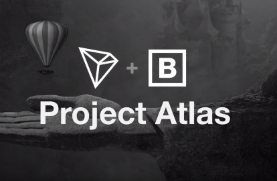 The idea behind Project Atlas, as it’s named, is to add ‘currency’ to the BitTorrent protocol through a series of extensions. This makes it possible to financially reward seeders, or to speed up torrents by paying for faster access. While it’s hard to review a product that has yet to be released, the descriptions we’ve seen so far do raise a crucial question. Is the ‘token-economy’ proposed by Project Atlas compatible with Net Neutrality? We ask this question because BitTorrent has been a fierce proponent of an open Internet. It has been a frontrunner in advocating for Net Neutrality, repeatedly criticizing paid traffic prioritization and so-called “fast lanes”. BitTorrent went as far as creating the dedicated “Internetbetter” website, avenging FCC’s plans to meddle with the ‘Open Internet,’ advertising its campaign on a massive billboard. “The FCC’s proposed changes to Net Neutrality would create a preferential fast lane for designated traffic,” BitTorrent wrote at the time. These efforts didn’t prevent the Net Neutrality rules from being repealed in the US, but it appears that BitTorrent’s own plans may not be in line with an ‘open’ Internet either. In FCC’s case, the fast lanes often refer to companies that pay for improved access to consumers, while others are relegated to the slow lane. In other words, those who pay get better access. This brings us back to Project Atlas, which promises to pay seeders for their bandwidth. While that may sound great to many, there’s also an input side to this token economy; people who pay for faster access or other features. While details are scarce, it’s clear that with the BTT token users will be able to pay to speed up their downloads. It’s not clear how this will work, but it’s likely that a paying downloader will get priority over others. That sounds a bit like a “fast lane” and paid “prioritization,” albeit on a different scale. Large companies are not paying for faster access in this case, but ‘wealthy’ BitTorrent users are. How much of an issue this Net Neutrality angle will depend on the eventual implementation. There’s a reason for concern if BitTorrent users can indeed get a bigger chunk of the available bandwidth in a swarm, as that means that others will receive files slower. That said, the payment incentives may also increase the overall speed of the swarm as people will seed more. That could benefit everyone, which is less of a problem, of course. Perhaps it’s fitting to end with two cautioning quotes from BitTorrent itself, again taken from the Internetbetter site. They referred to the FCC’s then-looming Net Neutrality repeal, but they may help the Project Atlas team as well. “We are at a crossroads, and the decisions made in the upcoming months will set a precedent for decades to come. We want to be on the right side of history,” BitTorrent cautioned.